Kismet on a Brooklyn Heights curb. The best thing I ever found tucked inside a book includes the book itself. When people put things out by the curb to give away, I stop to look. I seldom take anything. We have a lot already; but I’m interested in what other people let go of and feel ready to pass on. 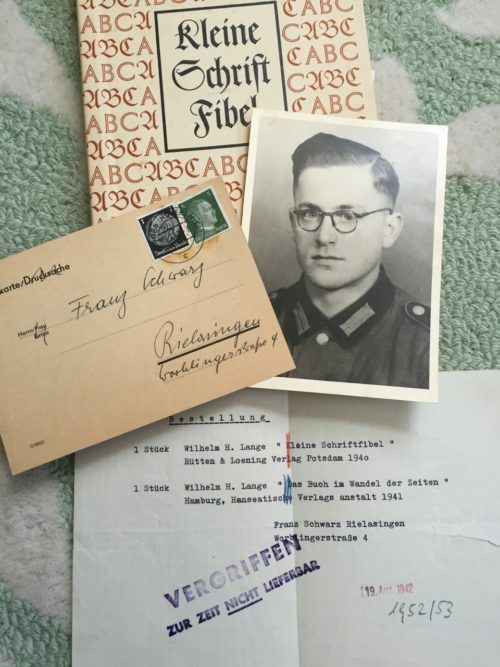 The book is Kleine Schriftfibel by Wilhelm H. Lange, published in Potsdam in 1940, during WWII. 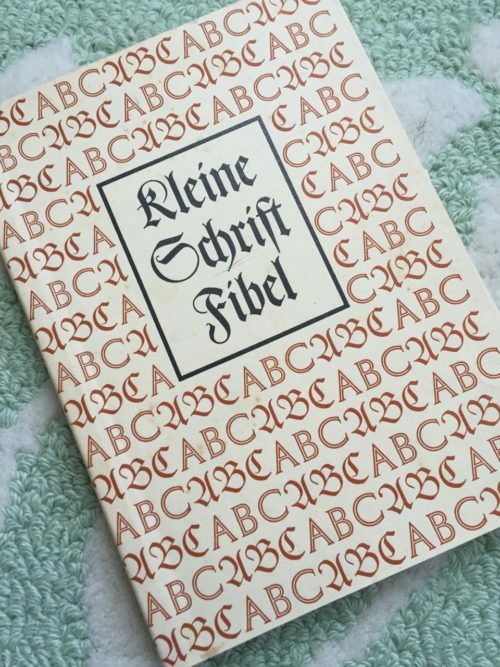 I picked it right up, because even without reading German, I could tell at first glance that this was a German book about typography; and at the time, I happened to be writing a novel about a typesetter in Nazi-era Berlin. It seemed like total kismet for this object to fall into my hands, as if the universe had asked the owner to put it out by the curb for the express purpose of allowing me to find it. • The receipt. Franz Schwarz Rielasingen bought this title and another by the same author, about the history of the printed book. • A photograph of a young man in a Wermacht infantryman’s uniform. Is it Franz, or a friend of his? 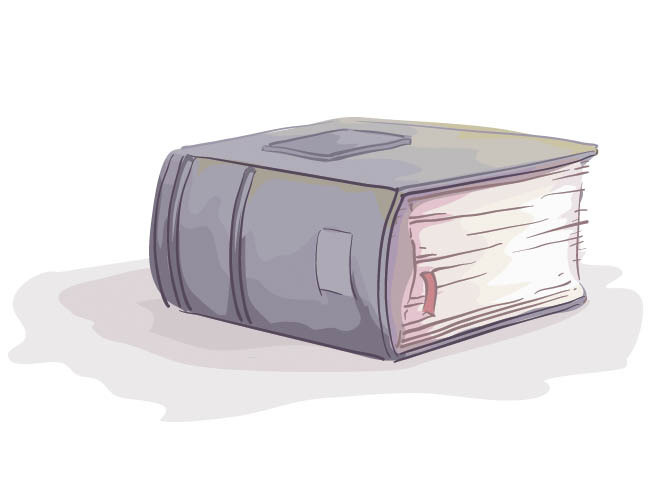 Did he tuck the photograph in the book because his friend had recently gone off to fight, or because he had died? Is it a picture of himself that he intended to send to someone? • A postcard. It contains some information about the book, his name and address, the same date as the receipt: August 19th, 1942. On the flip side, pictured, a canceled stamp bearing Hitler’s likeness. Two further coincidences: My younger son was born on August 19th 2013; and as it turns out, The Book of Esther (the novel I ended up finishing before finishing before the one about the typesetter), takes place during that exact week in 1942, as in the real world, Wermacht troops were heading toward Stalingrad. These objects elicit such complex feelings. Franz or his friend wore a Nazi uniform, but does that mean the owner of this book was a wholehearted supporter, a believer? I can’t imagine anyone with an interest in typography following Hitler blindly; his decrees about type styles seem too constricting for any true type nerd to have sided with him. Nevertheless this person saw service, perhaps combat. Did he kill people? People I’m related to? There is Hitler’s face on the stamp, the embodiment of evil serving as currency for mail. I’ve had these items in my home for years now. They feel like a tremendous gift, but a weighty one, a costly one. They feel at once benign and malignant. I’m glad I found them, though. I can’t think who else the universe could have meant them for, and am glad this snapshot of history didn’t land in a NYC recycling plant. 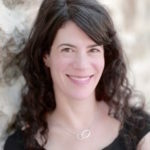 Emily Barton is the author Brookland and The Testament of Yves Gundron, which were both selected as New York Times Notable Books of the Year. She has received grants from the Guggenheim Foundation, the National Endowment for the Arts, and the Sustainable Arts Foundation. Her essays, short stories, and reviews have appeared in Story, Conjunctions, The Massachusetts Review, Tablet, The Los Angeles Times, and The New York Times Book Review, among many other publications. She lives in the Hudson Valley with her husband and sons.